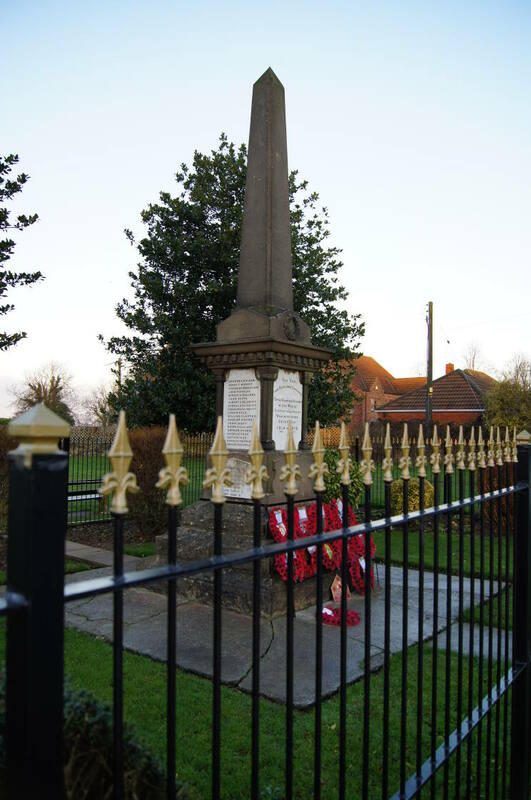 The Kirton-in-Lindsey War Memorial was dedicated in 1920 to those from the village who were lost in the Great War. 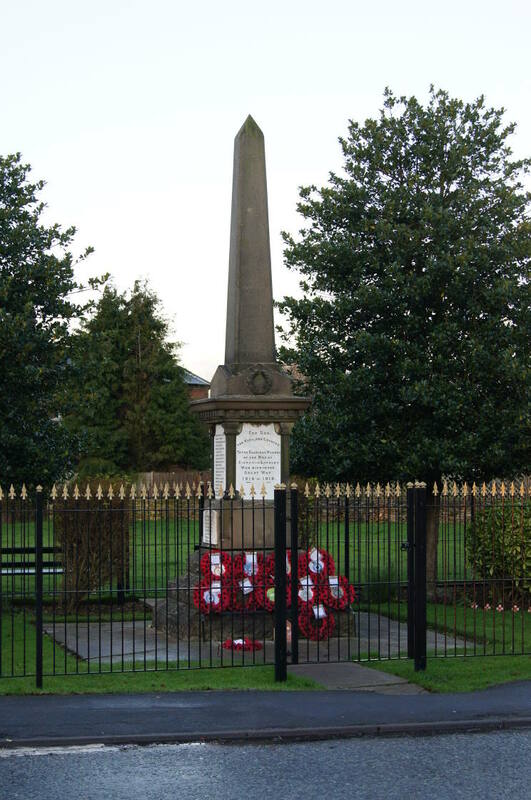 The names of the men lost in the Second World War were added following that conflict. Wreaths made of poppies from several organizations festoon the base of the memorial. 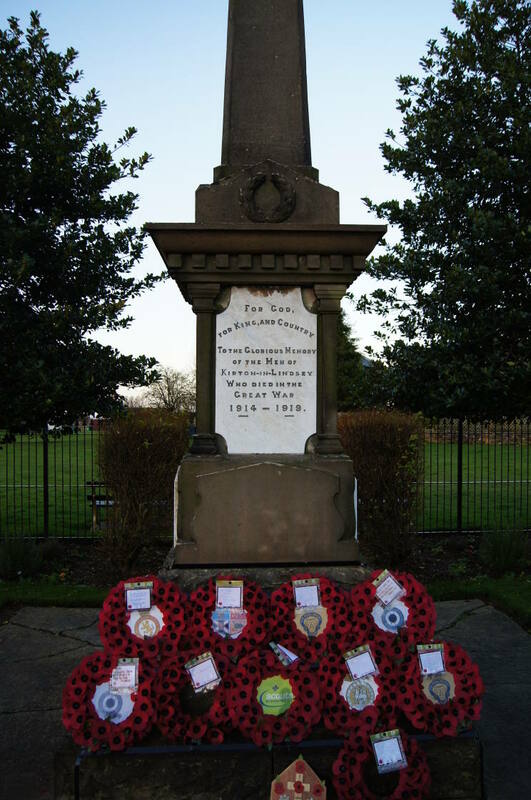 The plaque with the Second World War Roll of Honour can be seen below the original roll. 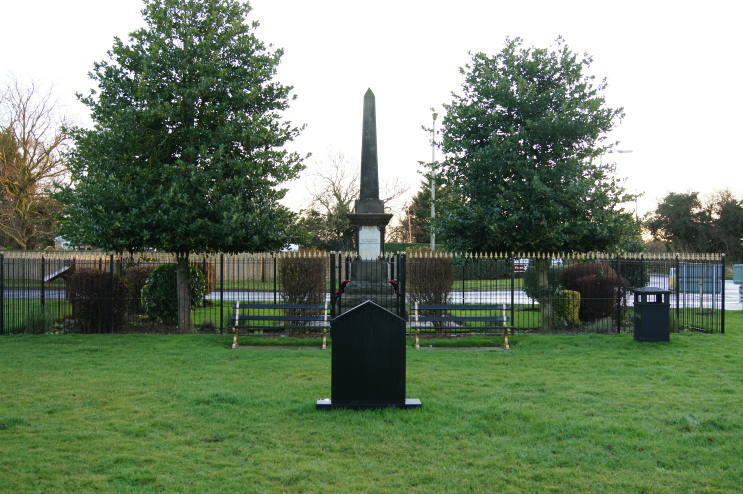 A view of the back side of the memorial, in the foreground is the Eagle Squadrons Memorial.